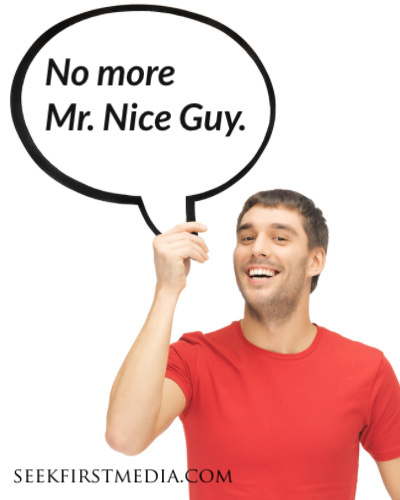 Men – I think for many of us we are more concerned about being a nice guy versus impacting this world for Christ. We worry too much about what man thinks and too little about what God wants. At least, this is my constant battle. Yet, I recently made a resolution that I can no longer be content being just a “nice guy.” Most people would attribute the quote by Varley to D.L. Moody – “The world has yet to see what God can do with and through and in a man who is fully consecrated to Him.”. Why? It is because Moody’s life was devoted to becoming “a man who is fully consecrated” to God. Actually, Varley was known to first utter these words to Moody himself. And what was Moody’s response? It is said that Moody responded by saying, “I will be that man.” It goes without saying that Moody was one of the most influential men of Christ that the contemporary world has seen. I would venture to say that Moody would not be described by the world of today as a “nice guy.” Nor do I think Moody would care to be a “nice guy” by today’s standards. He was too concerned about being God’s guy.